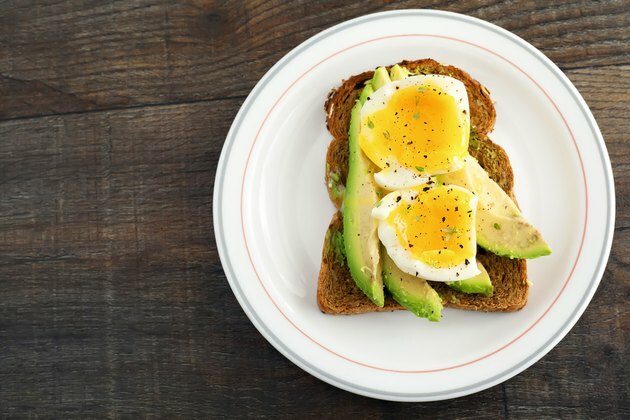 In an earlier article I revealed that one of my weight-maintenance tricks is to eat a whole egg as a morning snack pretty much every single day (hard-boiled or deviled). Eggs keep me feeling full, and the protein keeps my cravings in check. Plus, the yolks contain most of the nutrients, including vitamin D.
But I still see "egg white omelets" on menus at popular restaurants, and I'm wondering why some people are still avoiding eating the yolks? I started thinking: "Is it healthy for me to be eating egg yolks every day? Could this actually be a dangerous habit?" "If I were to create a top 10 superfoods list, eggs would hands-down make this list every single time. There is irony in this because for so long the egg was one of the most misunderstood foods (believed at one point to contribute to heart disease), which research has now cleared up. "Eggs, specifically egg whites, have become a mainstay in many diets thanks to their lean, satiating protein. Many people are still surprised to learn however, that the yolk itself has about 3 grams of protein, almost half of the protein found in an entire egg. The yolk is also where all of the cholesterol (about 185mg) is found. The American Heart Association recommends keeping cholesterols intake to less than 300mg a day, which makes including an egg everyday, as part of an overall healthy diet doable. I'm an advocate of including the yolk because this is where the majority of the nutrition in the egg is found. Aside from protein, the yolk is packed with vitamin D, phosphorus, riboflavin, choline, and selenium in addition to a number of other vitamins and minerals." Kelly's expert info definitely made me feel confident that eating an egg a day (yolk and all) was A-OK. But what if I wanted to eat more than one egg in a meal? 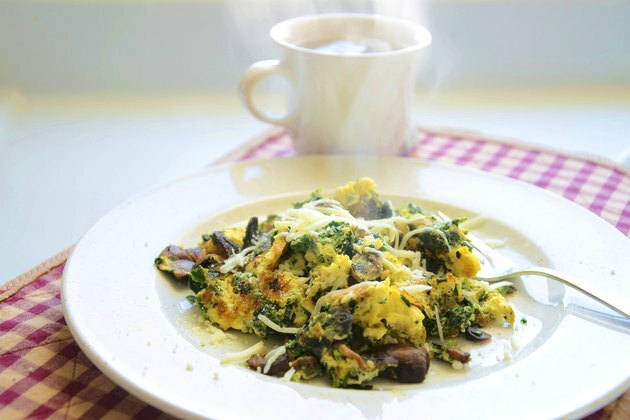 "To enjoy more eggs in your day," Kelly says, "I'm a fan of the 3:1 ratio — three egg whites to one entire egg." 1. Spray a small nonstick pan with a coat of cooking spray and place over medium heat. 2. Cook mushrooms, spinach and onions until soft and the spinach is wilted, about five minutes. 3. Season with salt and pepper and stir. Transfer to a small bowl and wipe pan clean. 4. Whisk egg and egg whites in a medium bowl until well combined. Coat pan with cooking spray and pour eggs into pan and cook. 5. Once edges of egg start to form, transfer veggies from bowl to the pan and begin to fold into the egg. Continue to fold until eggs are cooked throughout. Readers – Do you eat eggs every day? 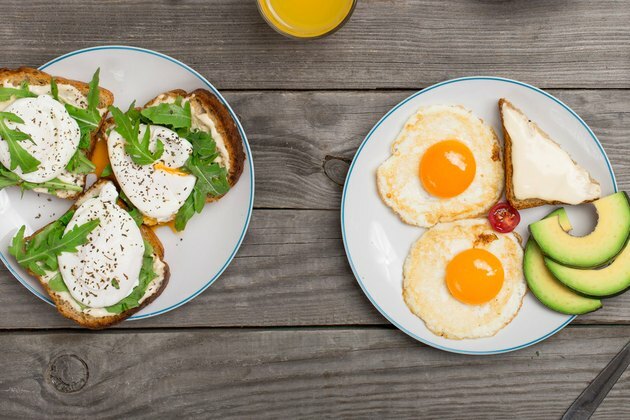 Are you a fan of egg whites or yolks? What's one of your favorite egg recipes? Leave a comment below and let us know. Jess Barron is LIVESTRONG.COM's GM and VP. A fan of Farmer's Market food, Jess can't get enough of heirloom tomatoes, fresh figs with burrata cheese and anything with pumpkin or peanut butter in it! Her love for food fuels her desire to exercise daily. Some of her favorite workout routines include running, yoga, P90X, INSANITY, and mixed martial arts. Jess's writing can also be found at Poprocks.com. She has appeared on MSNBC's "The Most," ABC News Now, and XM satellite radio and her writing has appeared on Wired.com and Yahoo! Follow Jess on Twitter and Google+ and Pinterest.